An RSS news feed makes it easy for you to check websites for new articles and news items. Much like the way an email program automatically checks for new email, a news reader (or news aggregator) automatically checks for new website postings. This makes it quick and easy for you to keep up with all of your favorite websites. 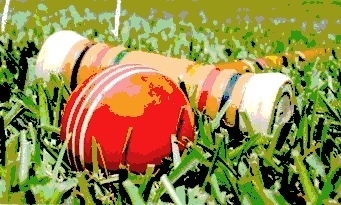 To subscribe to 9wicketcroquet.com’s RSS feed, just click the RSS news feed link in the sidebar (left). To learn more about how to take advantage of news feeds, keep reading. There are three kinds of tools for using news feeds. Recent web browsers allow you to bookmark a news feed. When you select that bookmark, you will then see a list of the newest content available on that website. You can also collect your news feeds with a web-based news aggregator. This is a website where you set up an account with all your news feeds. Some free choices are NewsGator Online and Google Reader. Finally, you can use a stand-alone news reader. This is a program you install on your computer. You can set it up to automatically notify you when new items appear on the websites you have subscribed to. You can then scan through all your news feeds in the newsreader, selecting the items you’re interested in and either reading them in the newsreader or opening the full articles in your web browser. See NewsGator for a selection of free newsreaders for both Windows and Mac OS X.